This special cardinal blend features the two most attractive seeds for cardinals, black oil sunflower seed and safflower seed. 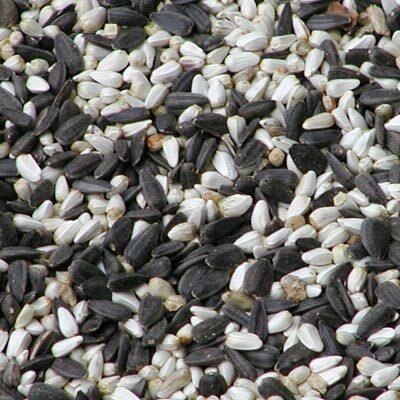 Black oil sunflower seed has a high percentage of meat and is a very nutritious source of quality protein. The black oil sunflower attracts not only cardinals but also a wide variety of other birds as its shell is easily cracked open, even by birds with small beaks. The safflower seed is also high in protein and fat, but it discourages starlings, grackles, and squirrels from feeding. This is a great blend for making the transition from feeding black oil sunflower seed to feeding safflower seed only.